Der Plan are progenitors of the dada children's-toy-instrument-sounding strain of german new wave and they do it best. The music is playful but somewhat sinister; creepy in a good way. Genius. 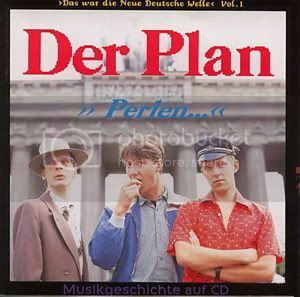 Perlen collects songs from their early albums, but it doesn't contain my favorite Der Plan song "Und Dan" - video below. If anyone has an MP3 of this song please send, I don't have it.